Our homely nursery is split into four areas; Hummingbird Room, Robin Room, Parrot Room and Penguin Room. Babies aged 8 weeks up until 2 years old occupy the upstairs of the nursery. The hummingbird room accommodates up to nine babies at any one time with up to three staff members. They have a separate milk kitchen to prepare snacks and formula, a sleep room, and a large open plan play area, including a new clam, “quiet” area. 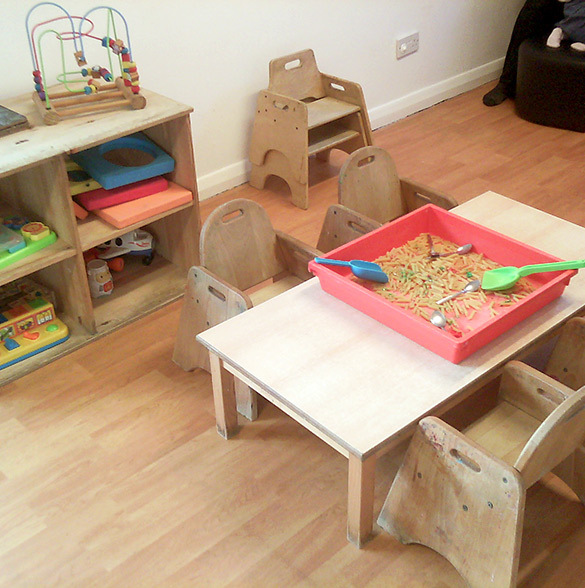 There is a wooden floored section where the babies enjoy various messy play activities. There is a nappy changing station built into the room with storage available for nappies and wipes which ensures good safeguarding practice. The babies join the toddlers twice a day in the toddler room to allow them to have access to continuous provision and full use of the garden activities. This usually occurs between 10:30-11:30, and 15:15-16:15. This time with the toddlers allows the transition from the baby room into toddlers to be smooth when the time comes. The baby staff members plan activities based on the children’s individual needs and next steps, to allow them to develop prime skills such as communication and language, through fun and engaging activities. The staff that are primarily based with babies are Amber Clapcott, Katelen Jeffrey and Mel Riding. As a baby approaches 2 years old, discussions will be held with parents about the transition process into the robin room. Where necessary, “settle in” sessions will be held so the child is able to form strong attachments with the staff as they move down. If a child is not ready to move, this transition may be delayed until such a time as we all feel confident the child will cope. The garden can be accessed via French patio doors, which are kept opened for the children at all times (except meal times and circle time). 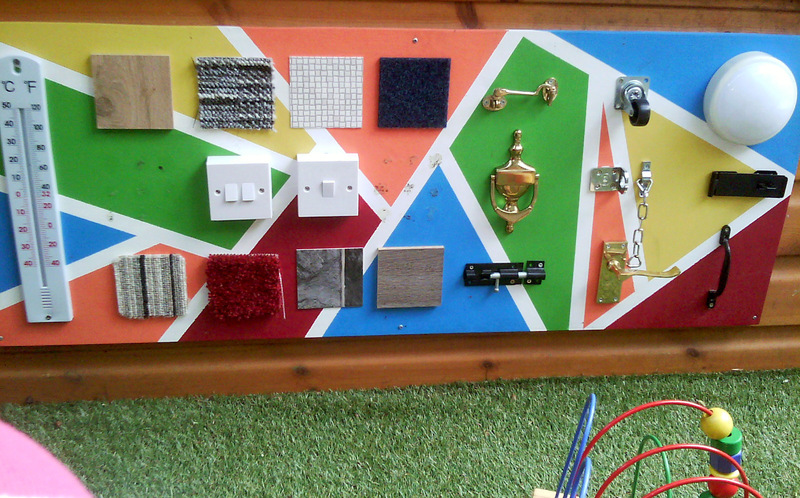 This allows free flow and gives the children more choice and independence of what they play with and how they learn. The toddler staff plan activities based on the children’s individual needs and next steps, to allow them to develop prime skills such as communication and language, through fun and engaging activities. 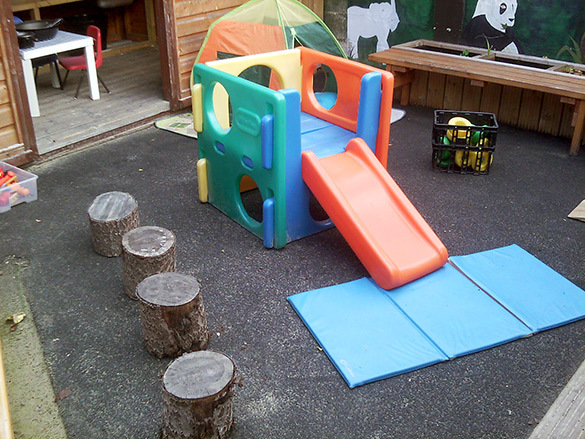 Toddlers are aged 2-3 years old and have continuous provision to enable them to use an inside area and separate garden especially equipped for their needs, which is located at the quieter back of the nursery. The robin room only accommodates up to eight toddlers at any one time with two staff members. Similar to that of the baby and preschool staff members. Nappies are changed in the children’s toilets which the pre-schoolers use, and any toddler who is toilet trained can be taken to these toilets supervised by a member of staff. Staff that are primarily based with toddlers are Emily Parratt and Kelly Stretch. Kezia Moss and Leanne Pitt also help out in this room when needed. Pre school children are aged 3-5 years and can access the government funding from the term AFTER their 3rd birthday. We currently split the preschool children between two rooms depending on the year they are going to school – Penguins room for those going to school September next year and Parrots room for those who are going to school this year. We now have two rooms for the pre-school children. The Penguin room is currently for those children who are going to school in September next year. 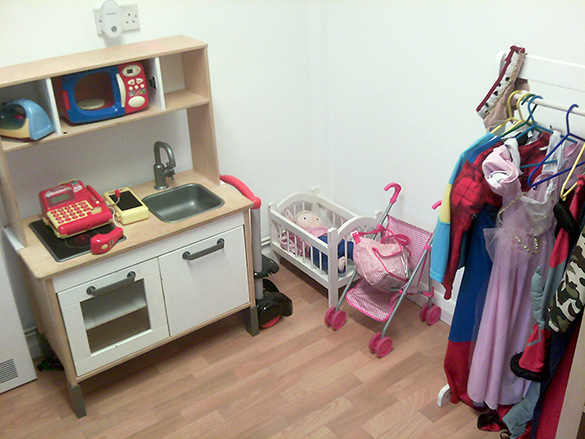 This room is used as a transition room between the toddlers and the main pre school room. 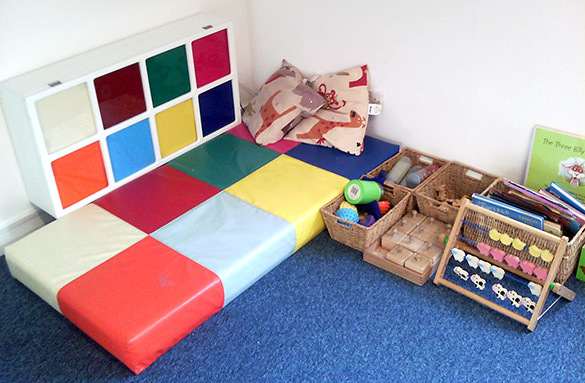 This allows the main preschool room to be focused more on getting the children ready for school. The Penguins and the Parrots come together at meal times, garden time and also on quieter days. Jade a’Beckett is the room leader of this age group. The parrots room has a large open planned inside area which is divided into a craft and soft play area. 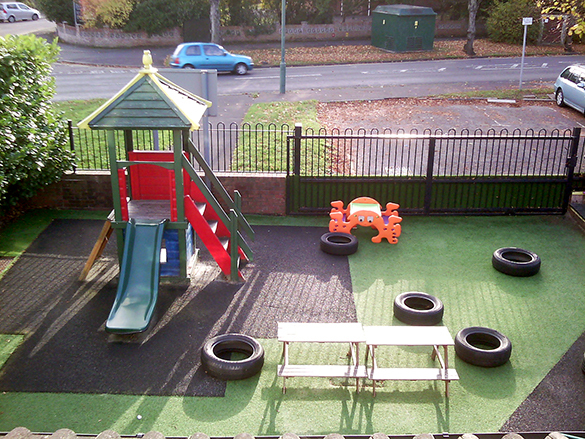 The pre-school children also have access to the front garden via French patio doors which are open at all times (except meal times and circle time) allowing continuous provision and free flow, giving the children more choice and independence of what they play with, how they learn, and to follow their own interests and develop these interests further. The pre-school staff plan fun, stimulating, educational and engaging activities to meet each child’s next step and interest, and to accommodate all seven areas of the Early Years Foundation Stage. 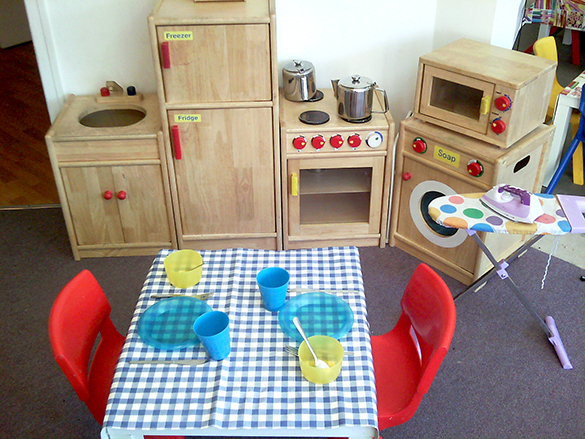 The pre-schoolers have access to two toilets which are located next to the parrots room. A member of staff supervises any child going to the toilet. If a pre-schooler is in a nappy, their nappy will be changed in the children’s toilets. The staff that are primarily based with pre-school are ​Dawn Evans and Megan Boreham.